Once again – celebrating Philly Beer Week 2012 – The Oakmont Pub, BeerAppreciation and Brew Your Own Beer got together to host the third annual Oakmont Cup Beer Tasting Competition. 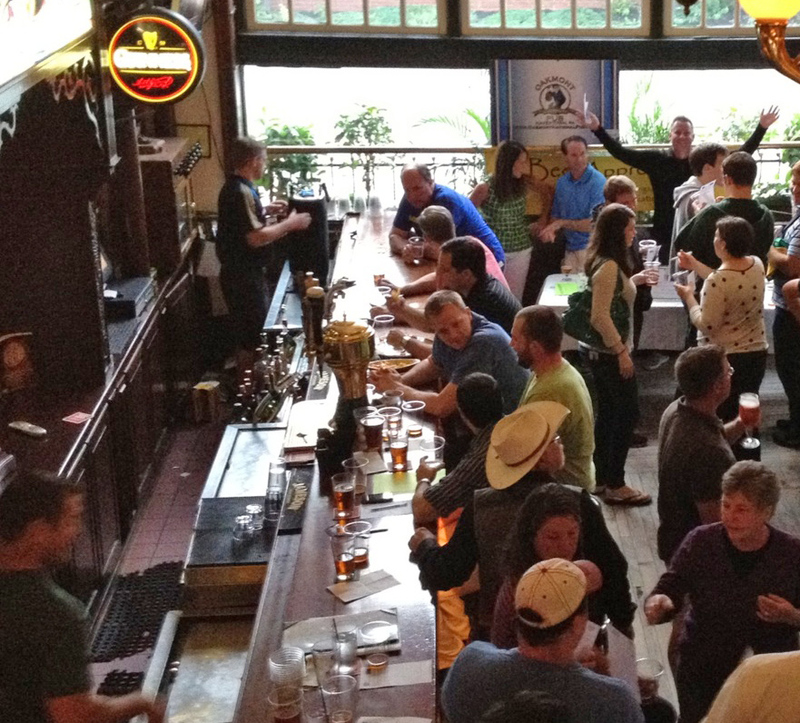 Nine home brewers brought in their best beer – brewed especially for the competition – for tasting by patrons of the Oakmont Pub in Havertown. This year’s theme was “Belgian” (2011 was themed “Wheat” and 2010 was “IPA”) – and some very inventive and flavorful beers were represented. From the highly powerful Belgian “Tripple” style to fruit beers, wheats and sour ales – a wide variety of great Belgian styled brews were shared with many thirsty Beer Appreciators last Tuesday night. Fifty One patrons tried all 9 beers (that’s 459 votes!) 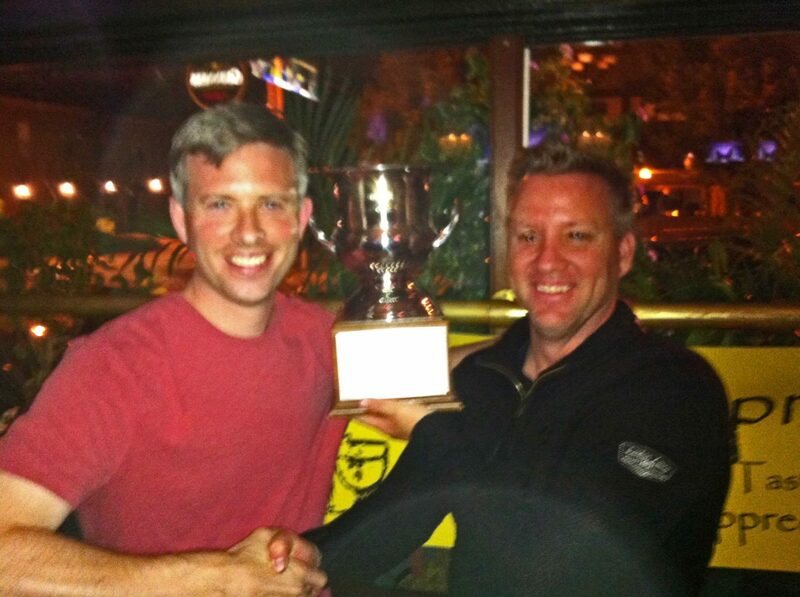 with the 2012 winner was Matt Pieters by one point over 2011 winner Christa Taylor. Matt’s dark Belgian ale was impressive – a well balanced and sophisticated brew recognized as special by the grateful voters. Matt has participated in all three Oakmont Cup competitions, and his name will now be engraved on the trophy’s base with the prior winners. Rounding our third place this year was Kevin Magrith. Each year the competition gets better and the number of voters gets larger. Join us next year during Philly Beer Week for year four and appreciate the brewers of tomorrow – with great, fresh beer at the Oakmont Pub today. Philly Beer Week? Ardmore is Beer Central!